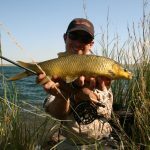 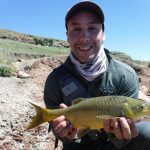 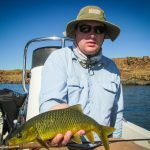 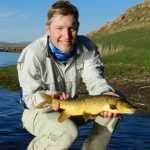 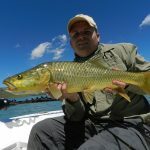 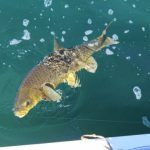 Yellowfish On Fly – Sight Fishing For Smallmouth and Largemouth Yellowfish. 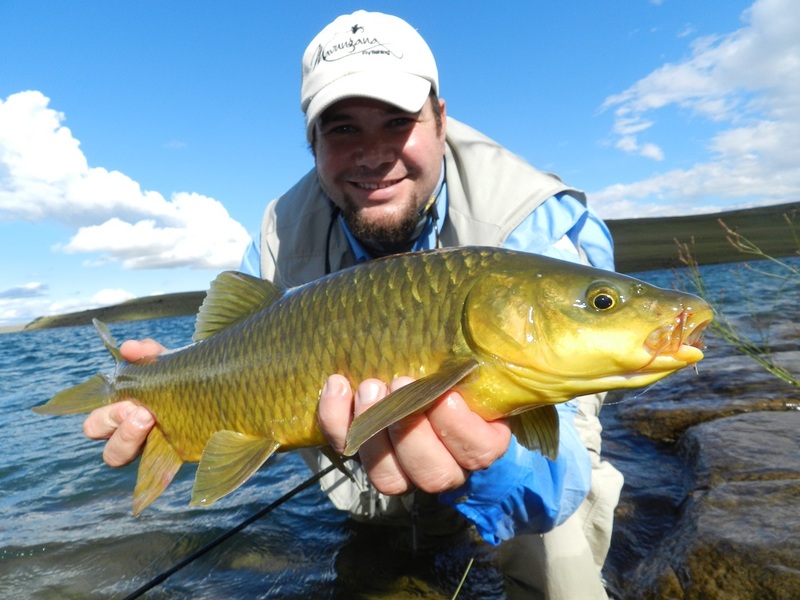 Smallmouth and Largemouth Yellowfish are an underestimated quarry to many fly fishermen. 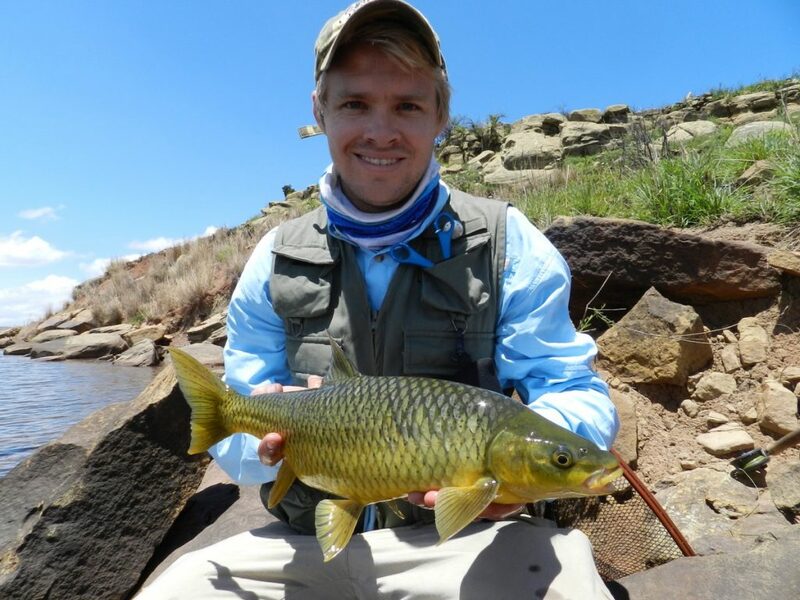 They are indigenous to Southern Africa, specifically the Orange-Vaal system. 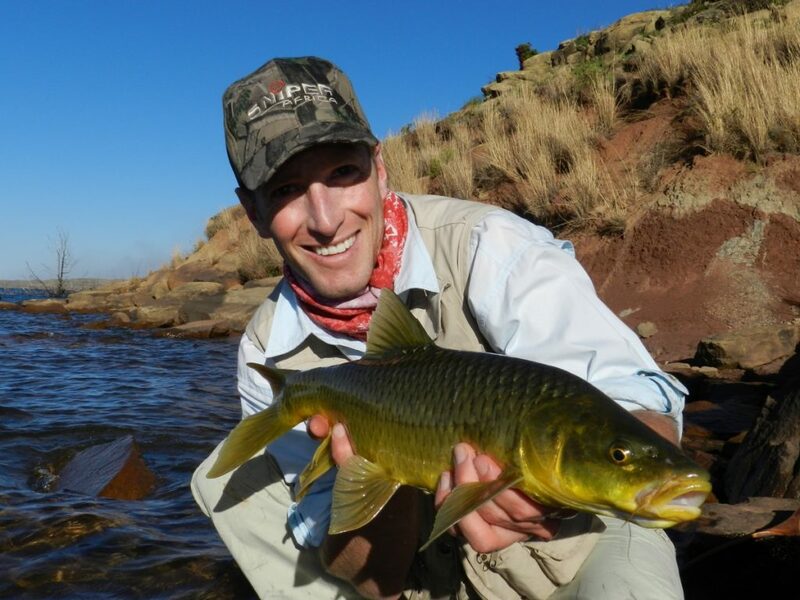 Superb fighting fish, they readily take flies. 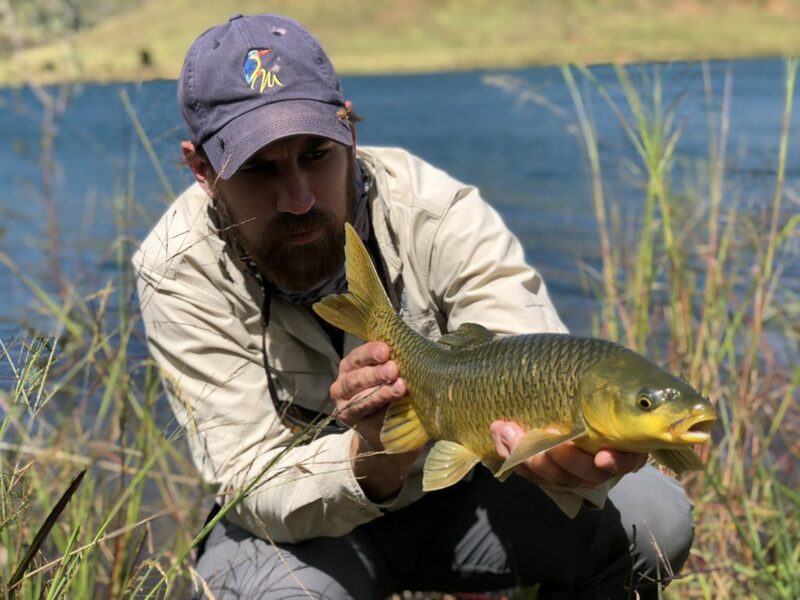 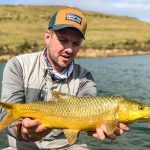 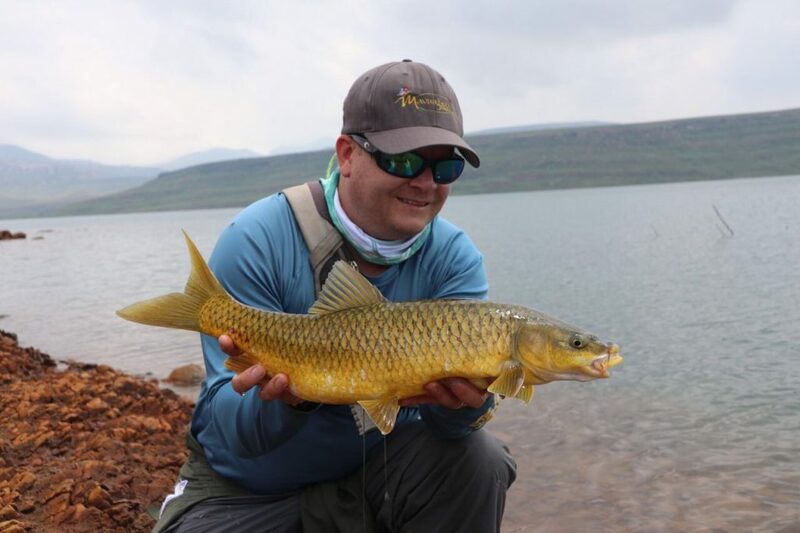 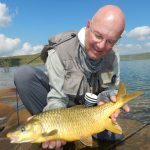 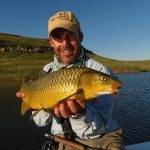 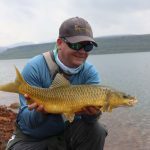 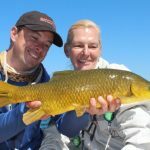 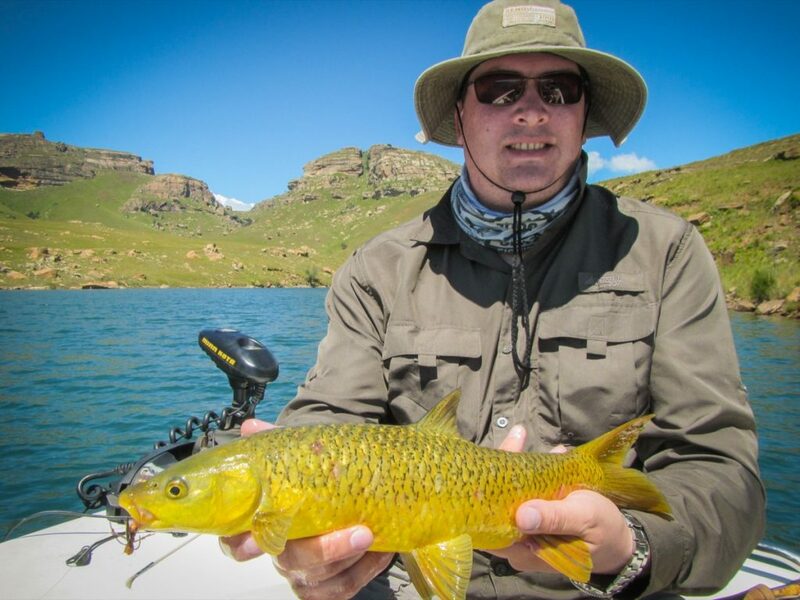 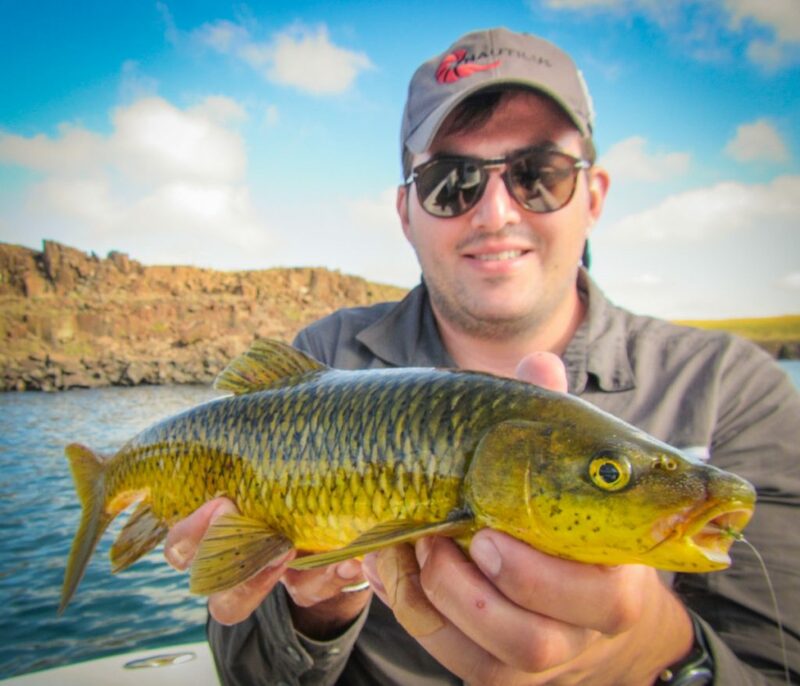 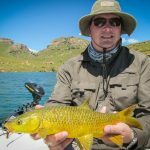 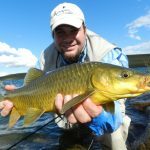 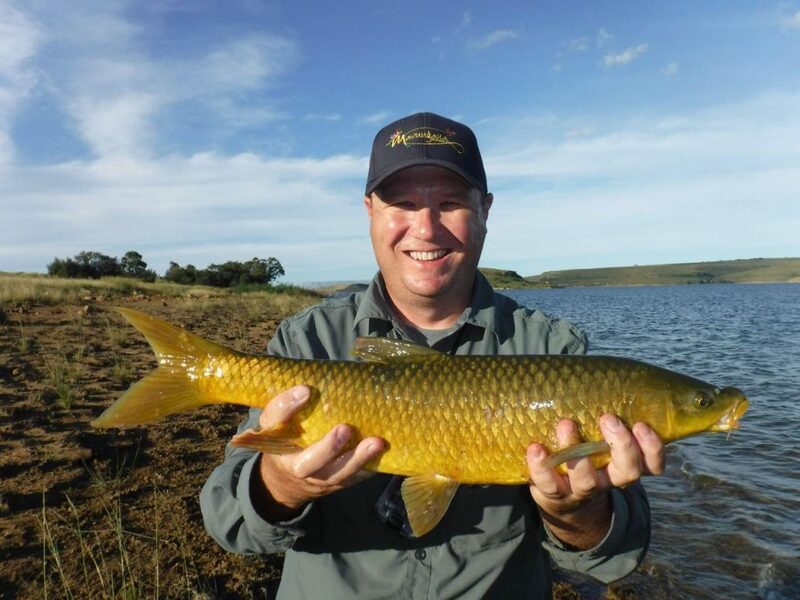 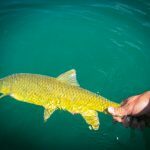 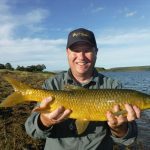 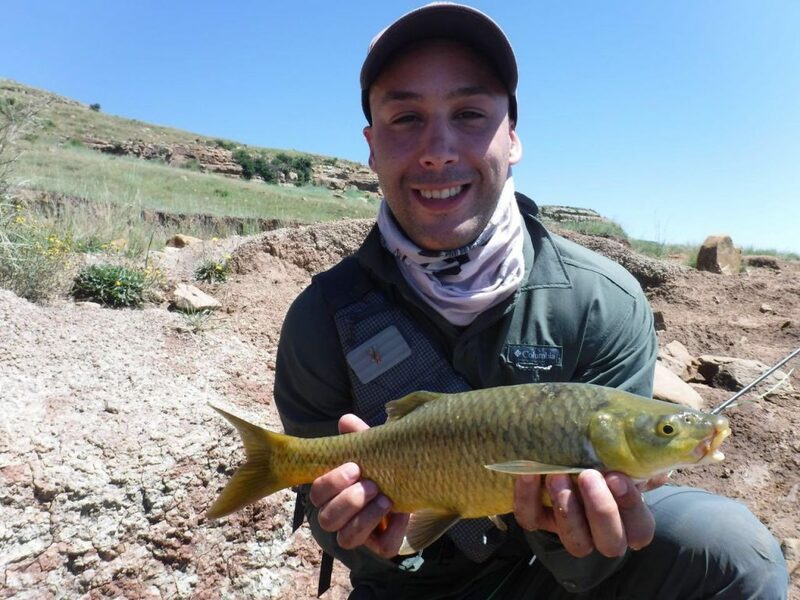 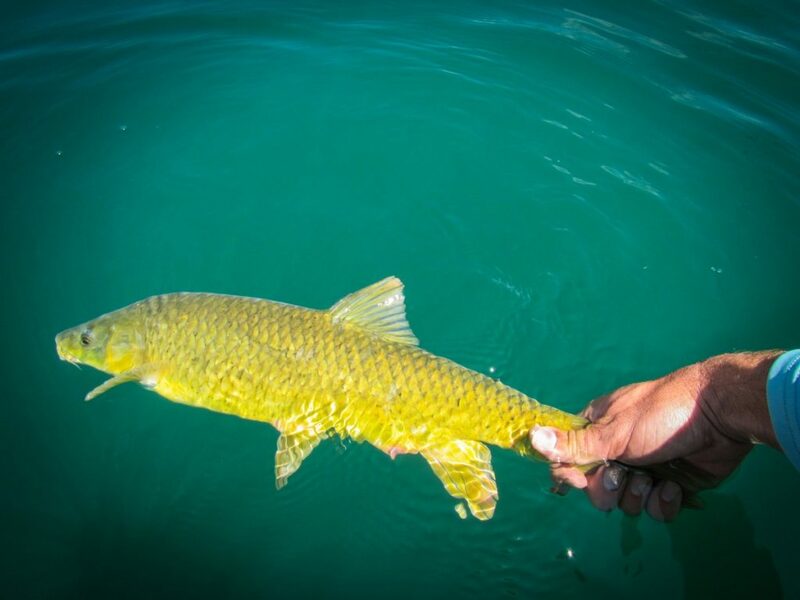 Naturally found in river environments, Sterkfontein Dam gives the fly fisherman the opportunity to target these fish in the best still water yellowfish fishery in South Africa. 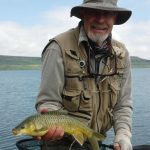 Trophy largemouth and hefty smallmouth can be caught here. 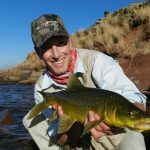 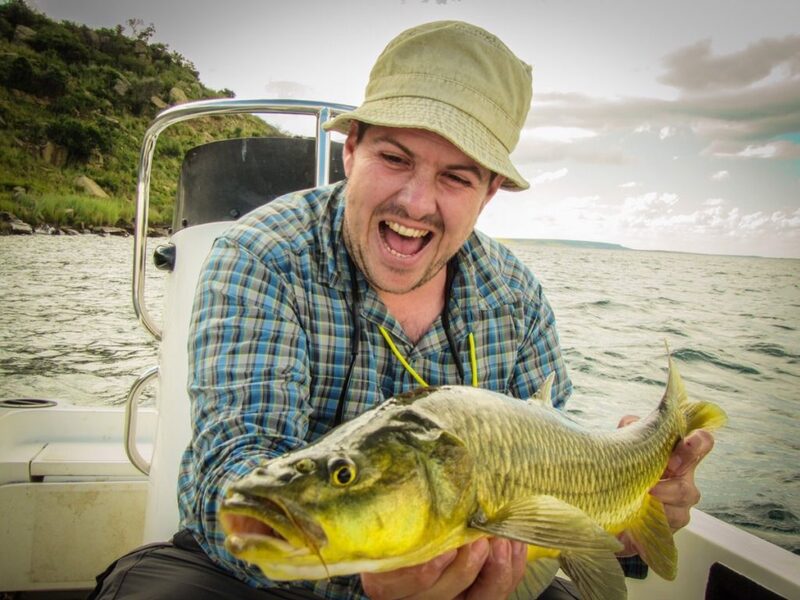 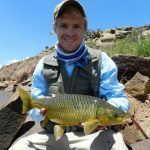 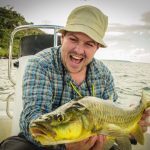 Join Mavungana Flyfishing with our team of experienced guides and instructors. 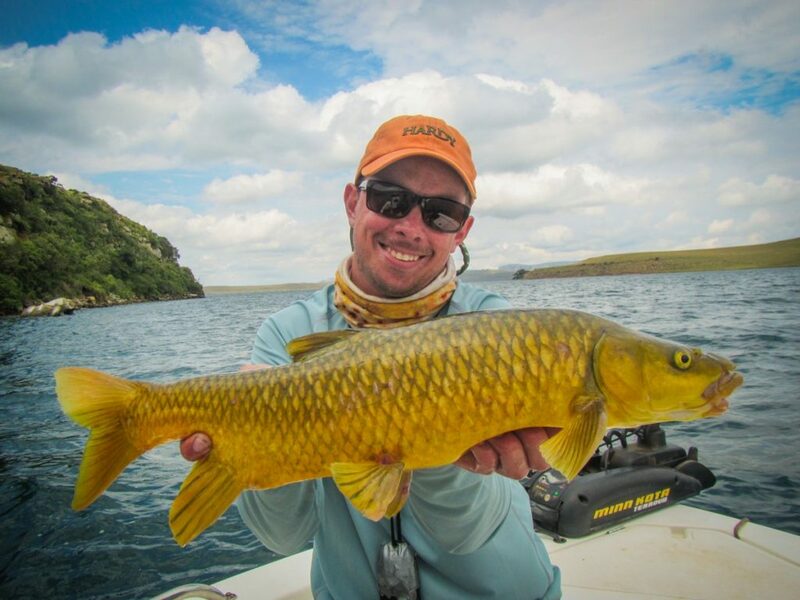 This is your chance to experience the magic of Sterkfontein Dam at its best. 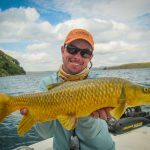 To experience Sterkfontein Dam to its fullest extent requires a boat to transport fishermen across the dam to the best fishing spots. 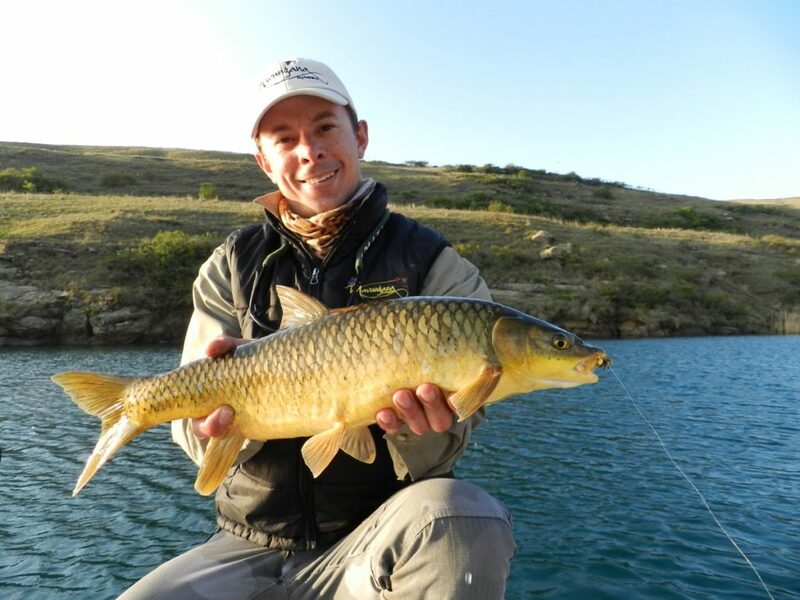 We base ourselves at Qwantani Resort, situated on the western side of the damn. 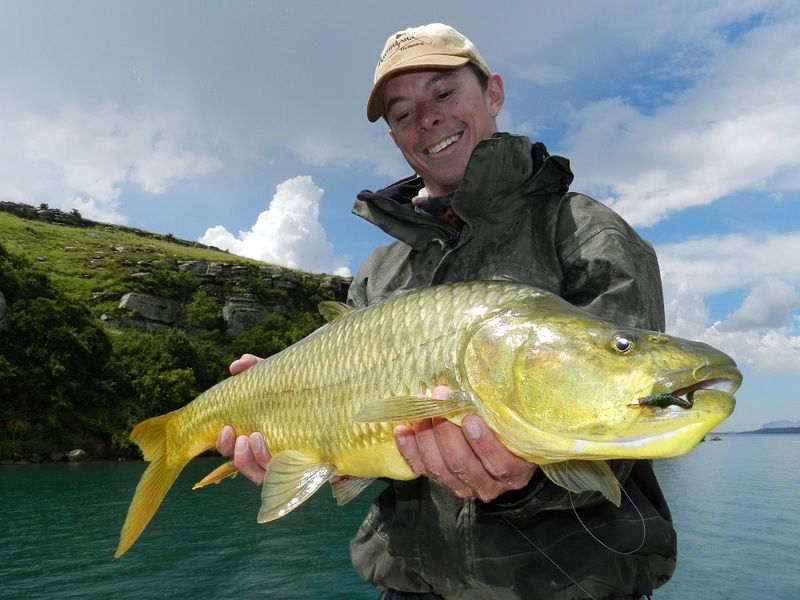 Every day we set off in our custom-built skiff stopping at productive areas to sight fish to cruising fish. 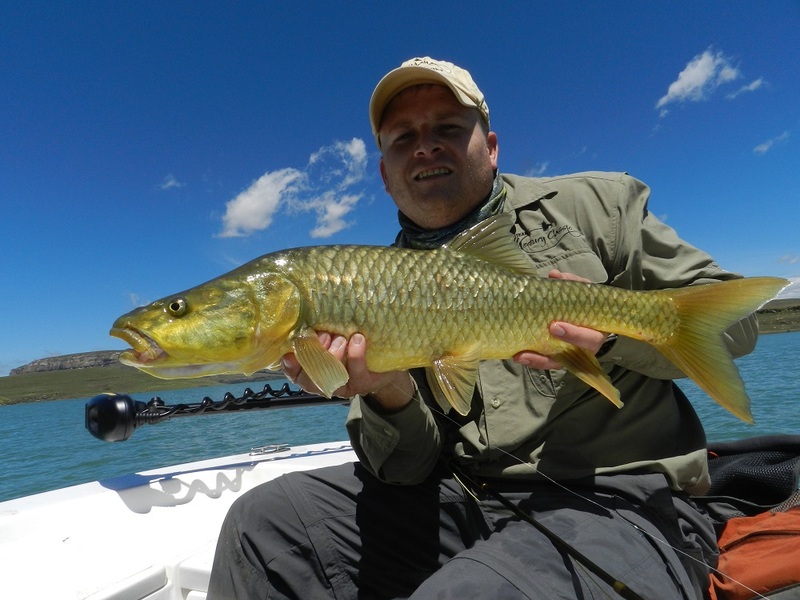 Fishing for our famed Golden Bonefish is mainly on dry fly. 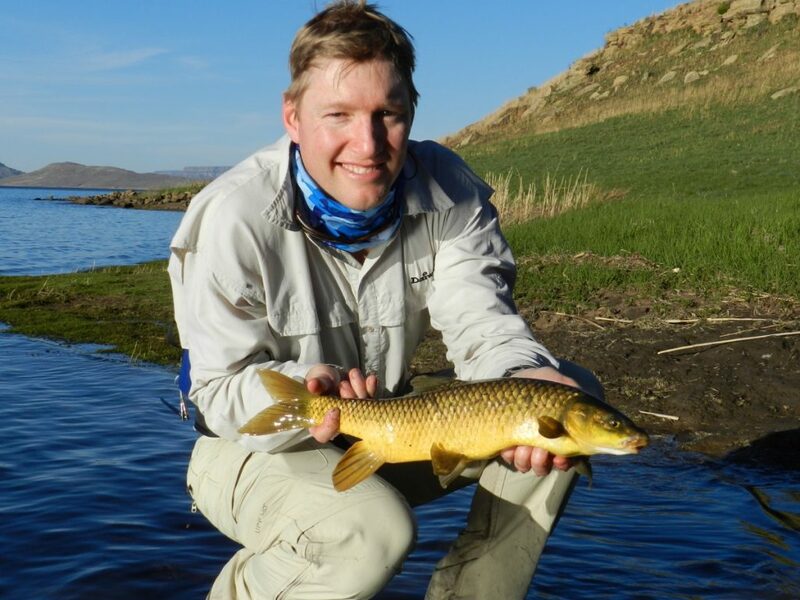 Arrive first afternoon/evening. 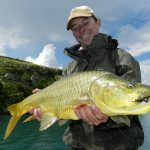 Should your arrival time allow it, you will fish the evening rise and get warmed up, or simply enjoy a cocktail/leisurely meal and discussions on the fishing ahead. 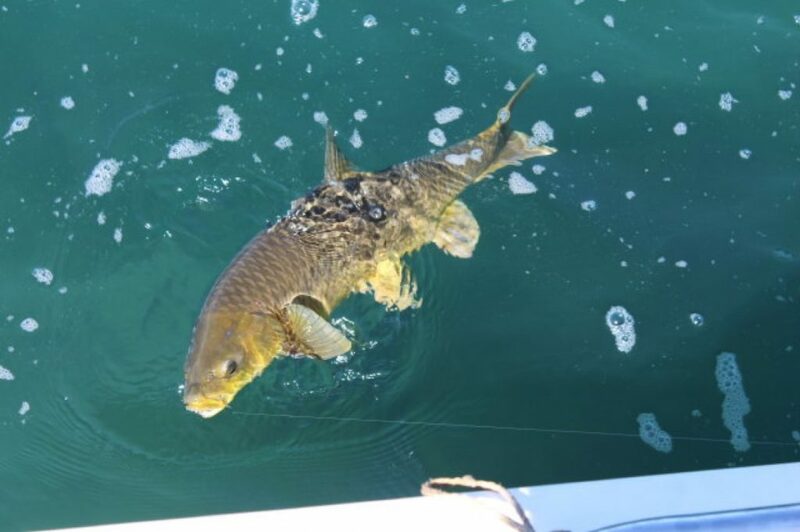 Next morning. 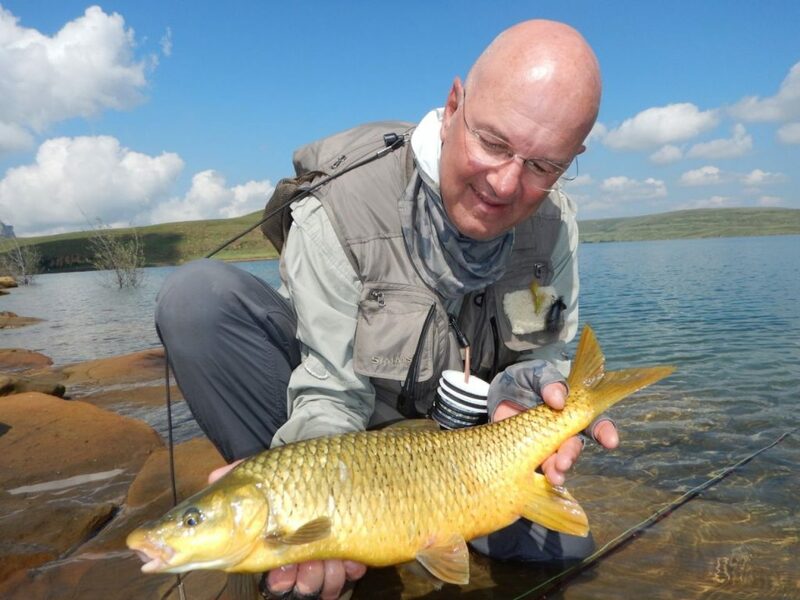 Rise at dawn, signature filter coffee and homemade rusks, and then drive down to the Qwantani moorage. 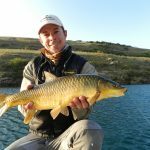 Depending upon weather and prevailing winds, the boat ride could be a short five-minute hop, to a lengthy run to the well known Quarry. 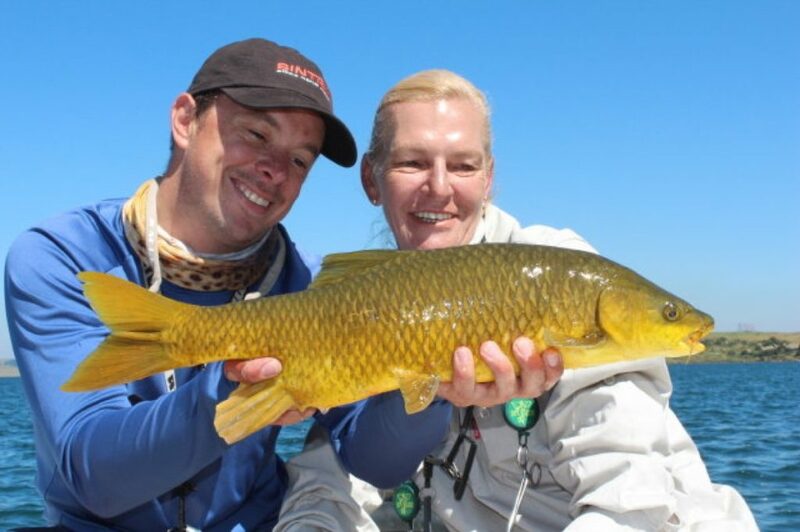 A maximum of 5 anglers in this clinic will walk the shore under the supervision of a Mavungana Flyfishing Guide, spotting and casting to trophy smallmouth and largemouth Yellowfish in deep gin clear water. 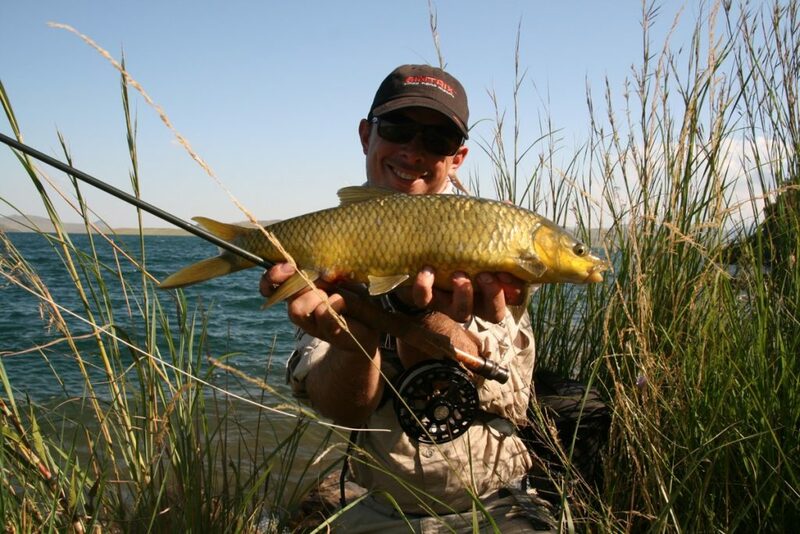 Return for a late hearty brunch, spend a while recuperating or going over your gear. 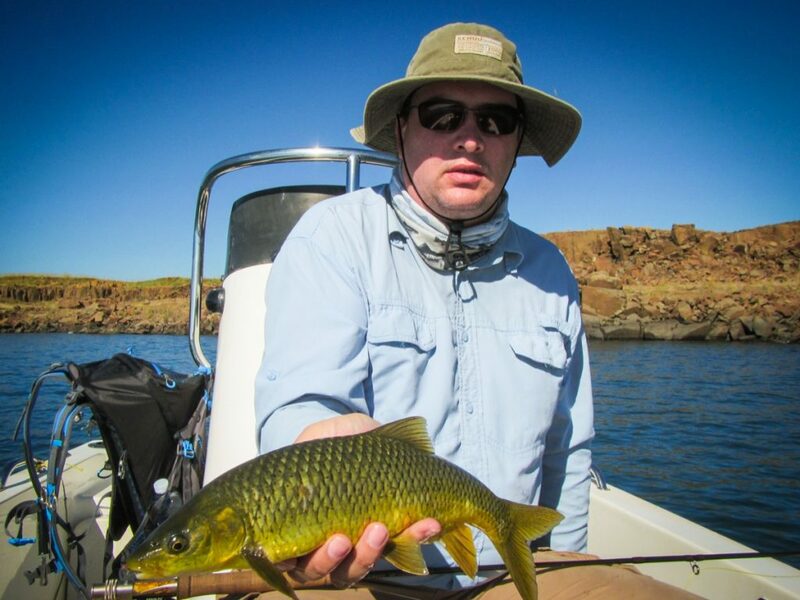 Depart for the afternoon session, fishing hard til the sun slips below the picturesque sandstone mountains. 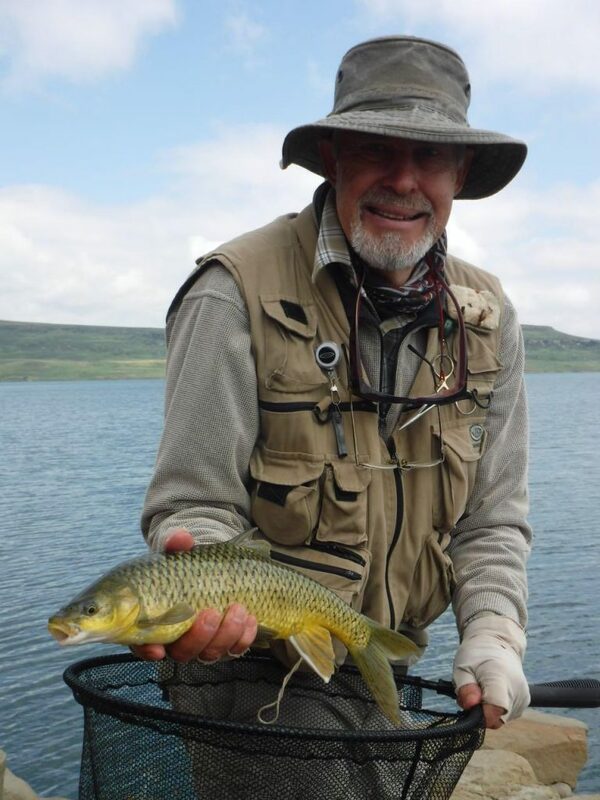 Next morning. 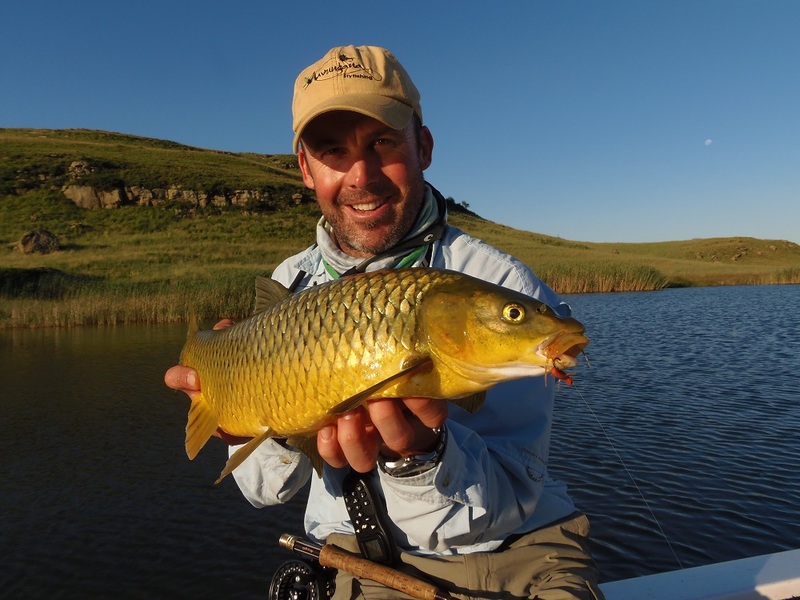 Do it all over again, exploring this vast 70 square km sight fishery. 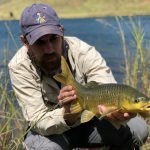 Last morning. 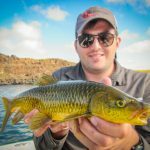 Fish early morning, brunch, and leisurely departure once you’re packed and ready.